You are here: Home / Just to know / Where Will GC36 Take Place? Delegates to GC 36 will gather in Rome at the Jesuit Curia, the worldwide headquarters of the Society of Jesus. The Curia is a large compound, just steps from the Vatican. 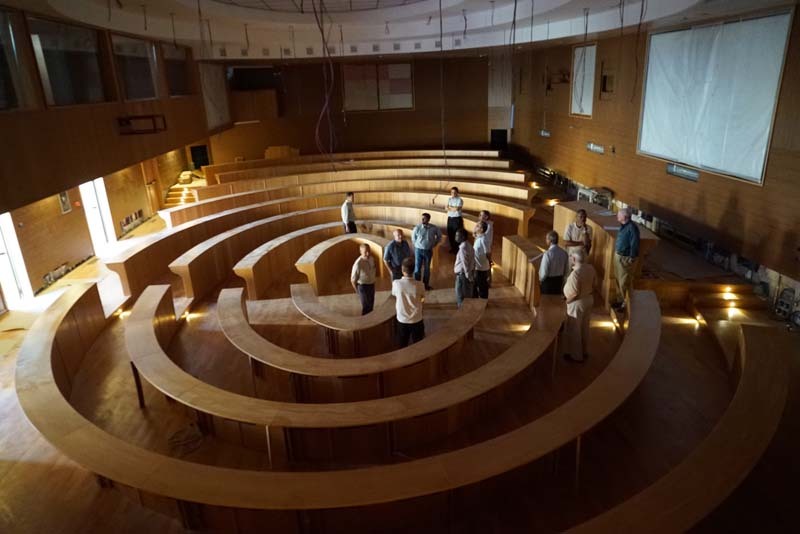 Jesuits will meet in the Aula (Latin for hall), a large meeting room that can hold 250 delegates, each seated at a small desk, as well as a long table for the Superior General and staff assisting him. The Aula is the top floor of a building tucked in between the Curia and another building that houses Jesuits. The Aula, which is getting a technology retrofit for this general congregation, has offices, computers and meeting space on the ground level. It is rarely used for any other business.